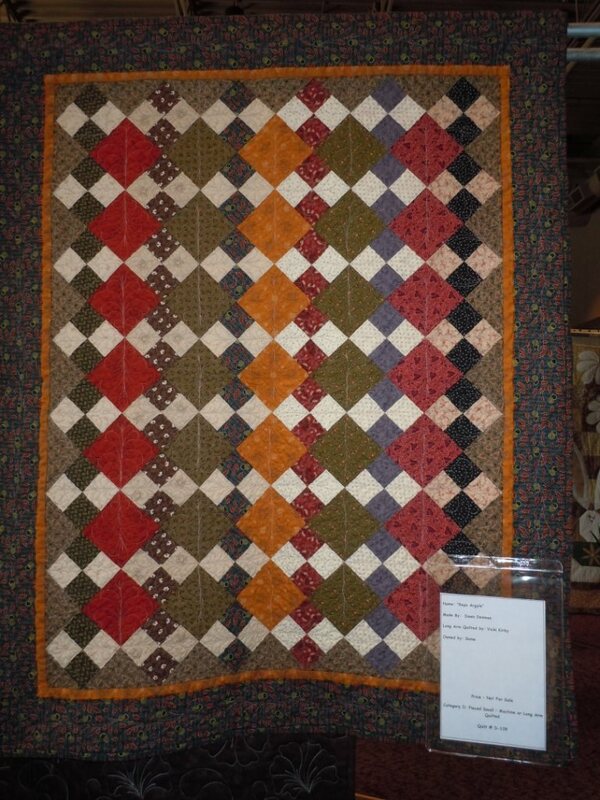 Thought I would share a few of the quilts I put in the show. Things are slow in the quilting department right now, so at least I can show you some inspiration. 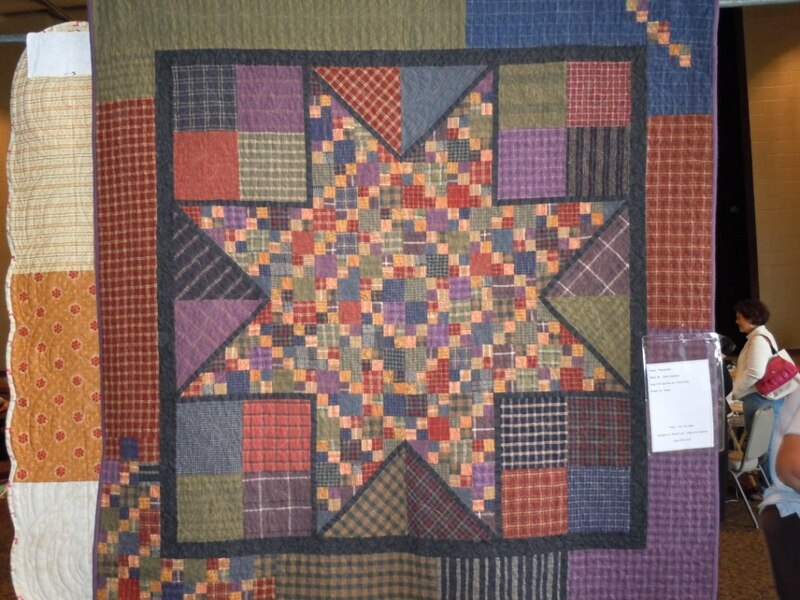 Thought I would share some of my favorites from the quilt show. Above is a quilt by Heather that I thought was absolutely funny! It is so cute! This great Stack N Whack was made by Judi. I love seeing how all the blocks look so different. This one is by my friend Joan. It is Charity Crosses from the Moda Bake Shop. Of course it is done in 30's fabrics! And I always love a Carpenter's Wheel. I"ve had this pattern for ages and just never have made it. Guess I had better get to it! Pam's version may just make me dig that pattern out again. And check this one out - isn't it great! Those log cabins are teeny tiny, let me tell you. Mary did an awesome job on it don't you think! And how about Mary's Round Robin quilt. I fell in love with it! 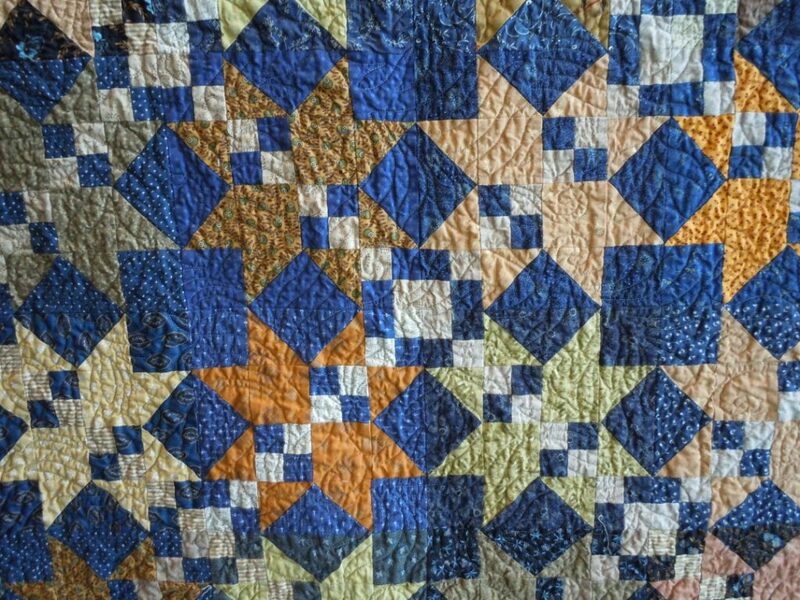 And who doesn't love brown and blue in little quilts. 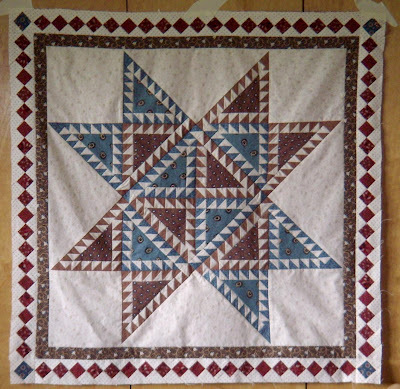 This is Hilda's Wyoming Star. A little about this beauty. I made a mystery for our guild several years ago. Jeanne finished hers this year. I love how it turned out. It was roughly based from the book "Bears Paw Plus: Make New Tracks with Sampler Blocks" by Pat Syta. Mine has been done for year except the quilting. Need to get that one finished! Had to share Lois' Dinner for the Family. That is all paper pieced. And this is Rose's Winter Wonderland. I have about 1/2 of the blocks for mine done. But it is slow going for me. This gives me inspiration to get mine done! And look at Susan's Jungle Rain. Simple yet striking! And another one from Joan in 30's! She calls this Lemon Delight. You should see it in person - it really sings. And Lois' "My Wishful Garden". I love these Jacobean like florals. Thought I would share some more eye candy from our show with you. Give you a peek at some of the other ribbon winners from the NQA judging. 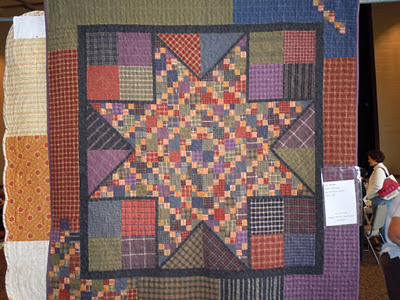 Above is my friend Joan's quilt - Dresden Delight, which got 2nd in the Applique, Machine (Long or Home) Quilted category. I helped her figure out the setting for this and talked her into using purple - isn't it great! Below is another one of Joan's - Dresden Fans. Can you tell she LOVES 30's fabrics! She got 3rd place in the Applique, Machine (Long or Home) Quilted category for this. 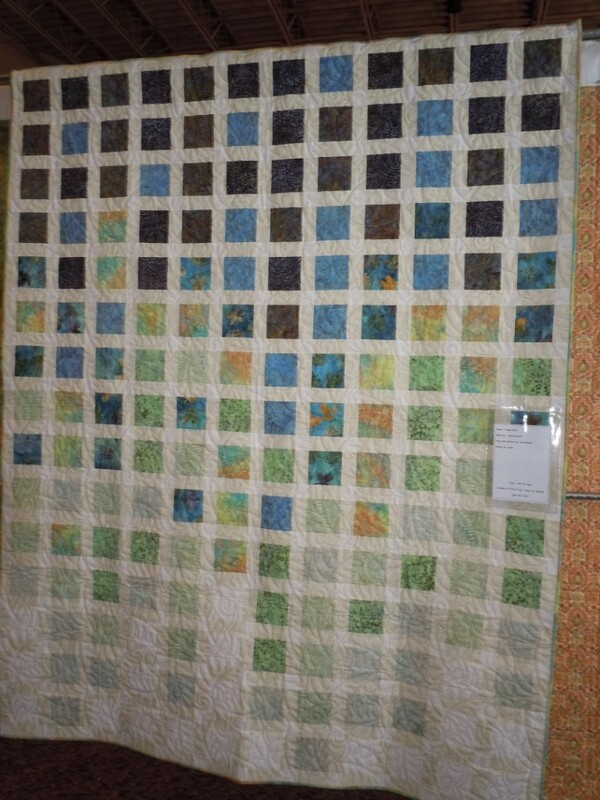 The next one below is another friends quilt - Lynn, who got 3rd place in Pieced Bed Long Arm Quilted. Look all those great blue fabrics. 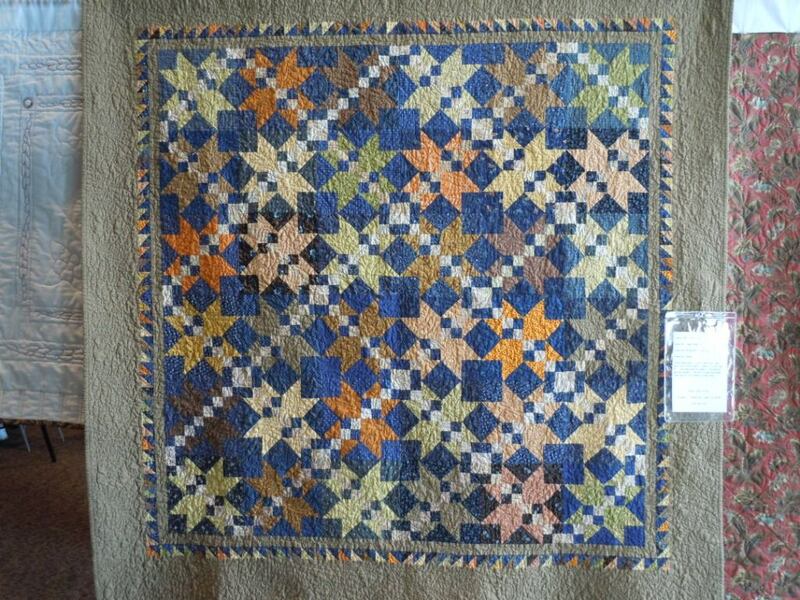 "the orginal of this quilt is owned by Marti Michell, circa 1900-1910 made in Tennessee. 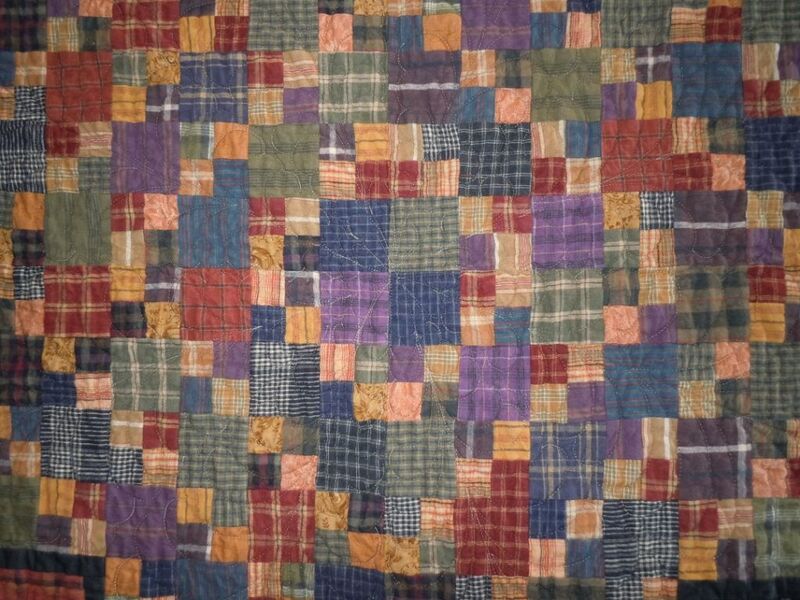 The name of the quilt is Tennessee Hard Times. 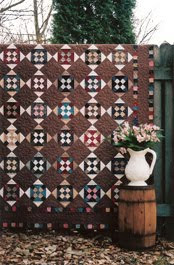 The pattern was taken from scrap, patchwork and quilting by Marti Michell. 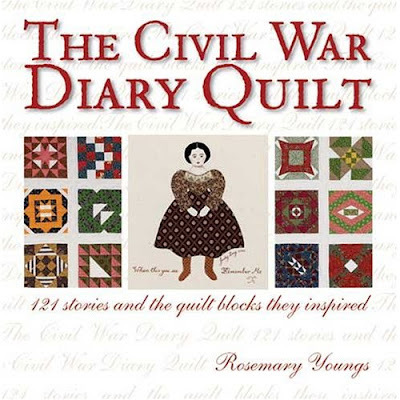 Madelyn used all reproduction fabrics to make this quilt similar to the original. Obviously, 1900-1910 was a hard time for the generation, and here we are today in 2011 going through difficult and challenging times. It's fitting to call this quilt "Illinois Hard Times 2011"". The next is my friend Sharon's quilt - Wildflowers. She got 1st place in Pieced Bed Home Machine Quilted. The flowers are machine embroidered and appliqued on. Next is Pam's - Pieceful in Fall quilt. She got 2nd in Pieced Lap Long Arm Quilted. 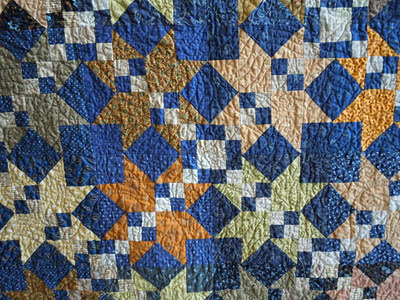 Pam does wonderful machine quilting. 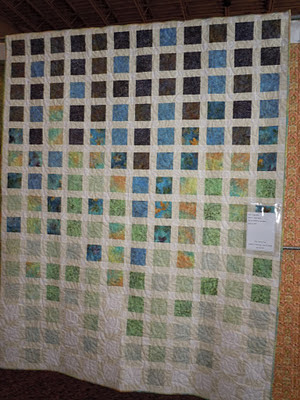 This is LeAnn's "Fit to be Geese" quilt which got 1st place in Pieced Lap Machine Quilted". They one below is one of my favorites by my friend Lynn - Stars Divided. 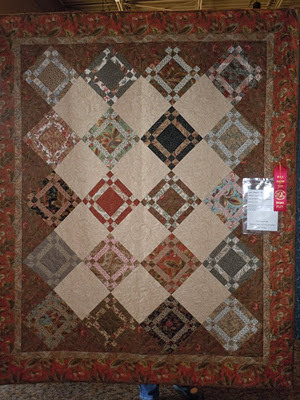 She got 3rd place in Pieced Small, Hand Quilted. Don't you just love those stars and fabrics! Now for you wool lovers - check this one out by Mary - Wool Bed Rug. This got 1st place in Applique Machine (Home or Long) Quilted. Isn't it a beauty. The applique is wool but the background is flannel. Last but not least is Pam's Autumn Sunflower. She got 2nd in Art Quilt - Original Design Any Size.